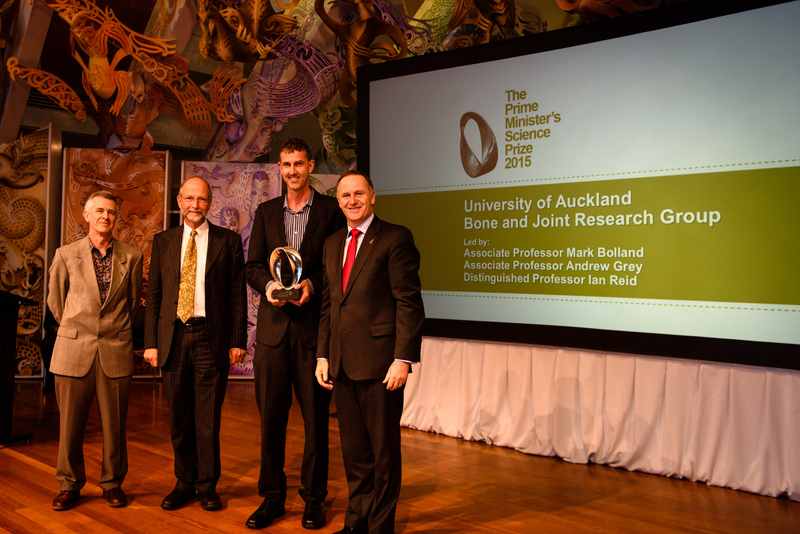 The 2015 Prime Minister’s Science Prize is awarded to the Bone and Joint Research Group from the University of Auckland. Osteoporosis with fracture is a major cause of disability, suffering, premature death, and health care expenditure in New Zealand and throughout the world, with around 50 percent of women and 30 percent of men aged over 50 likely to sustain a fracture in their remaining life. 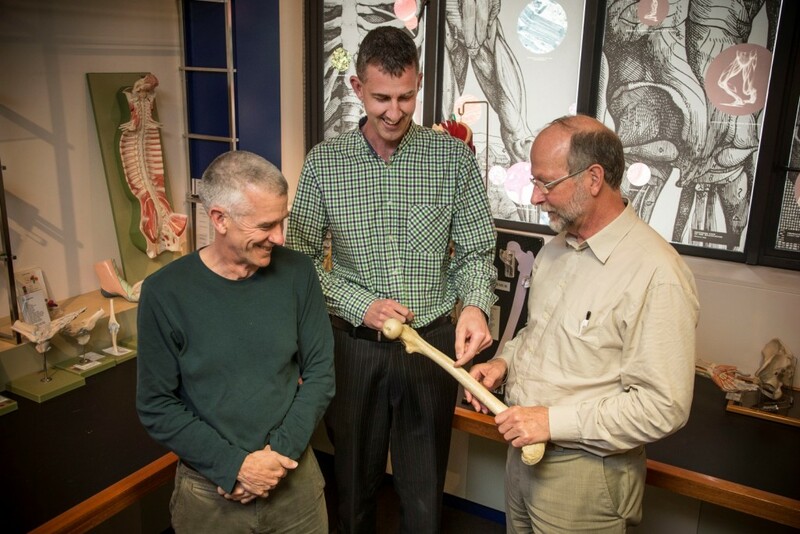 Associate Professors Mark Bolland and Andrew Grey, and Distinguished Professor Ian Reid have had a substantial impact on clinical practice in New Zealand and internationally around the use of calcium and Vitamin D supplements as first-line treatments for the prevention of osteoporosis. As a result of the team’s work, calcium and Vitamin D are no longer routinely recommended to prevent the bone-weakening condition. The team’s research has also revealed that calcium supplements increase the risk of heart attacks in older people, at times by as much as 20 -30 percent. In New Zealand, prescriptions of calcium supplements have decreased by 66 percent, saving around one-and-a-half million dollars a year and a similar am ount is being saved through a reduction in testing Vitamin D levels. Further savings are being made in costs associated with treating health issues which the team’s research has found to be associated with taking prescribed calcium supplements. Internationally, the team’s research is estimated to be saving billions of dollars in reduced prescription costs. By leading changes in clinical practice, Professors Ian Reid, Mark Bolland and Andrew Grey have prevented over-treatment and wastage of health resources, allowing the saved money to be spent on more effective interventions. The team members are New Zealand’s most highly cited researchers and their work is regularly published in prestigious international medical journals. 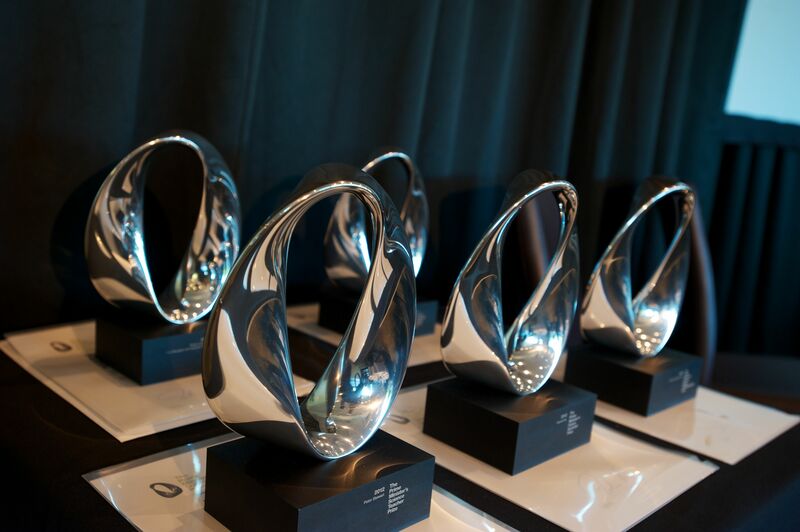 The Prize, New Zealand’s highest value science award, recognises the transformational nature of the team’s research.